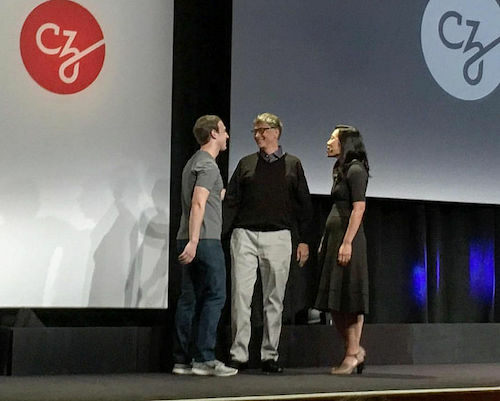 Chan Zuckerberg Disease Initiative: Generosity or Grandiosity? On Tuesday, the Chan Zuckerberg Initiative said it would devote $3 billion dollars over the next decade to support a new approach to medical research that could “cure, prevent or manage all diseases” by the year 2100. The couple committed to transferring, over time, 99 percent of their Facebook shares, with an estimated value of more than $45 billion, to fund the Initiative’s operations and investments. Their choice of this for-profit structure rather than a more traditional philanthropic mechanism raised some eyebrows when it was first announced. Now, how they are choosing to spend their money is raising questions as well. Throughout the history of science, most of the major scientific breakthroughs have been preceded by some new tool and technology that allows you to see in new ways. The telescope helped us understand astronomy and the universe, the microscope helped us understand cells and bacteria to help us develop treatments for infectious diseases, while DNA sequencing and editing helps us fight cancer and genetic disorders. The first component will be the creation of a new $600 million “bio hub” to be housed at the University of California San Francisco, which will bring together a multidisciplinary team of scientists and engineers. By 2100, they claim, they will have found a way to a world where no disease is uncured or unmanaged. It is easy to view this as arrogance and hubris. Does the Chan Zuckerberg Initiative bring some new insight, vision, or competence that has been missing from the national and international medical research field? While $3 billion over a decade is a lot of money, it pales when compared with the federal government’s National Institutes of Health (NIH), which currently spends about half of its annual budget of $34 billion toward a similar objective. Not to mention the many additional billions of dollars raised and spent by other governments, private foundations, individual donors, and for-profit medical and drug corporations. NIH director Francis Collins, whom Chan and Zuckerberg consulted with as they were developing their new effort, sees an investment in core science as important and unique. Most philanthropic efforts are rather targeted toward specific diseases that the philanthropist is interested in. It’s unusual for philanthropy to support a lot of basic science, and yet the future of everything we hope to see happen in medical research depends upon a vigorous agenda in the basic arena. That’s where the government is really very important in the effort.